Outlaw King is a Netflix produced film directed by David MacKenzie (Hell or High Water) and stars Chris Pine as Robert the Bruce, a Scottish nobleman turned outlaw who rallies to acquire the Scottish crown and lead his people to victory over the reigning King Edward I of England (Stephen Dillane). In large part, I found this film to be a snoozefest that took way too long to find its feet. Though I usually adore the long single-shot method, the beginning of this film felt off to me. 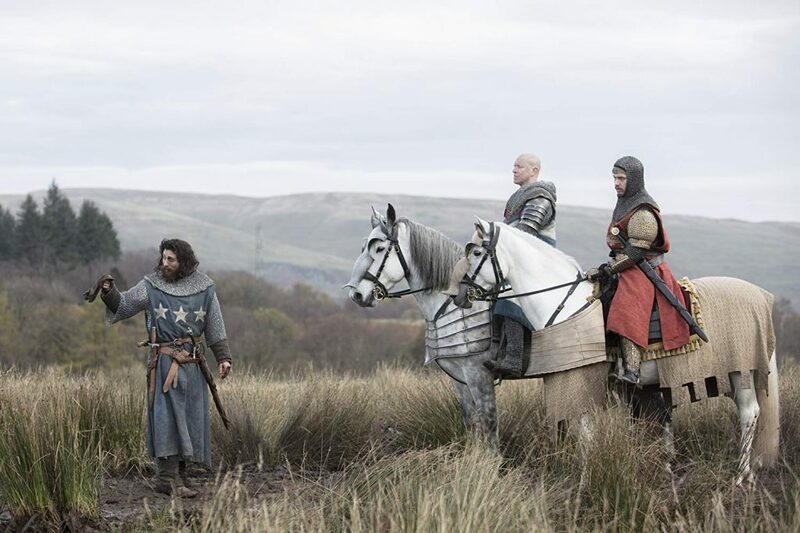 It didn’t feel like a movie, but rather something I’d see in a lower budget miniseries or television show – which is something I believe Outlaw King would have benefited from being instead. The fact that there are five writers associated with the film furthers my point. There just seemed to be too much going on and too little time to let the viewer grasp who these characters are and what they stand for, let alone the fact that some of these characters just suddenly die. I had to ask my friend if I missed something at one point, because at the end of the second act, someone was suddenly on their deathbed. Where the film worked best though was during its battle sequences, which appears to be where most of the film’s $120 million dollar budget was spent. The three or four extended sequences we got (namely the final battle) were Game of Thrones level engrossing and easily the best parts of the movie. The battles are brutal and there was no shortage of blood and guts, which now is a good time to say that if you’re the slightest bit queasy, this film probably isn’t for you. Nothing wakes you up more from a snooze than seeing a man get hanged and then gutted. Performance wise, I found Pine to be pretty immersed into his role and sometimes unrecognizable. Florence Pugh portrayed his wife, Elizabeth, and her performance was noteworthy as a strong-willed woman standing up for what she believes in while being very much in a man-ruled world. Her and Pine worked very well together. 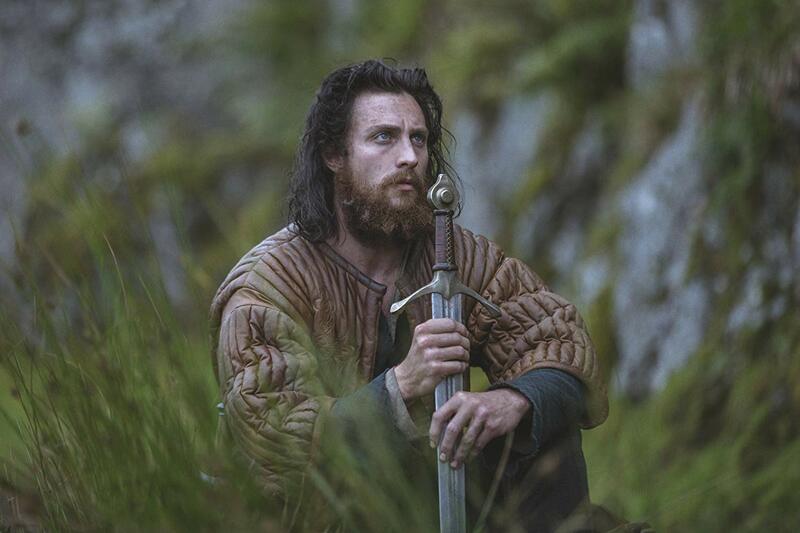 The standout performance in the movie for me though, if only for entertainment purposes, was Aaron Taylor-Johnson as James Douglas, a man who’s family name had been tarnished and is fighting to bring honor back to it throughout the film. As soon as he got a taste for blood, every subsequent scene featuring him provided a roaring, heavy-breathing, blood thirsty man that was capped with him screaming “WHAT IS MY NAME? !” This was easily my favorite performance in the movie. Between the choppy and often boring expositional scenes, there is an entertaining movie to see here. It just took a lot of time to find it and even then, we only get glimpses. 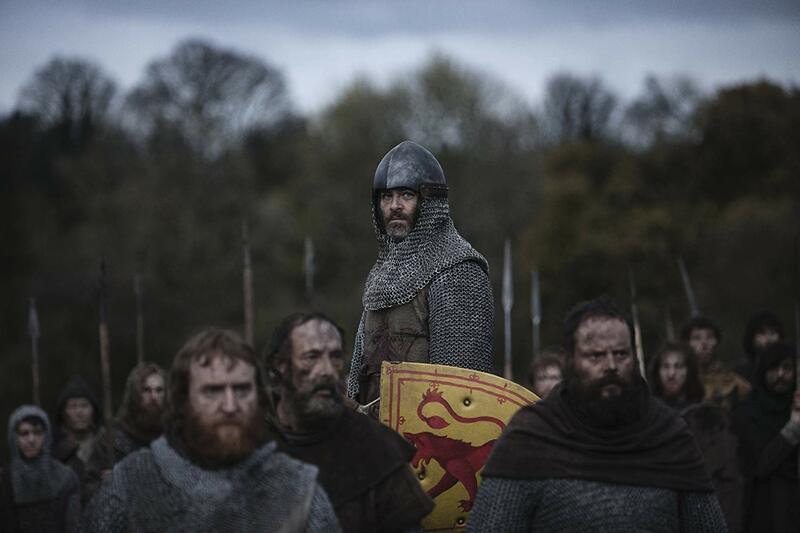 The cinematography of the lands of medieval Scotland is sometimes breathtaking, and the battle scenes are truly something to witness. 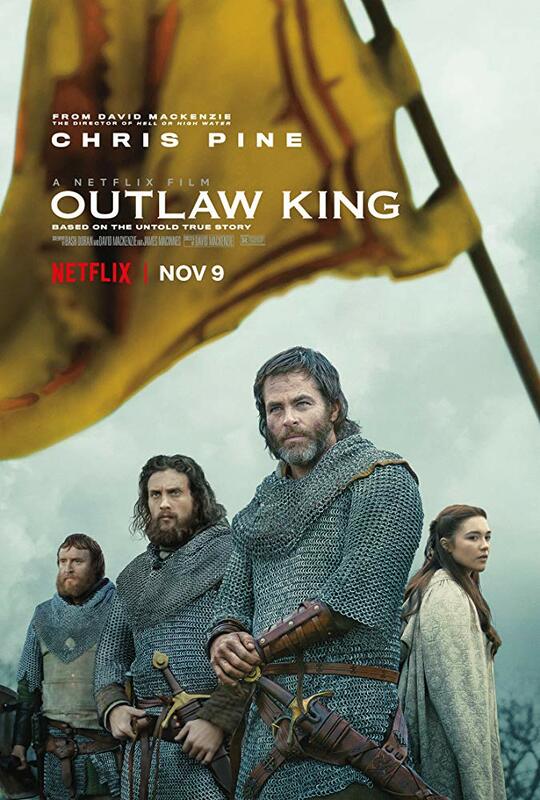 I just truly feel like this would have worked better as a miniseries, but if you have a couple of hours to kill and you’re a subscriber to Netflix, there are much worse things you could pick than Outlaw King.